Toulouse made the most of Racing 92's preoccupation with next week's European Champions Cup semi-final against Munster by securing a 42-27 home win to go second in Top 14. Racing made 12 changes for the trip to Toulouse and slipped to a comprehensive defeat as the hosts displaced them in the top two, despite missing out on a bonus point after conceding three late tries. Yoann Maestri went over midway through the first half and after Zack Holmes crossed things got worse for the visitors, with Albert Vulivuli shown a yellow card for a dangerous tackle on Julien Marchand. Toulouse took full advantage of their numerical superiority with Maxime Medard and Gael Fickou crossing either side of the interval, before Thomas Ramos made victory more than secure after the hour mark. However, Dimitri Szarzewski, Juan Imhoff and Joe Rokocoko went over in the final 13 minutes to ensure the teams sit level on 70 points, six adrift of Montpellier after the leaders were beaten by Toulon on Saturday. In the day's other match, La Rochelle's slide down the table continued as they fell to a 26-18 loss at home to Castres, who moved up to sixth. La Rochelle coach Patrice Collazo said: "The first half went at breakneck speed. We could not keep it up and we hit a wall. We were unable to raise our level. 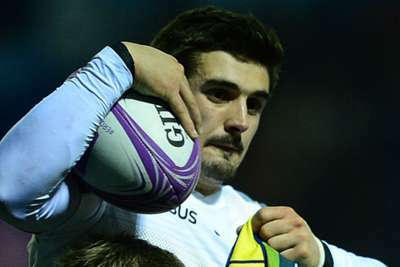 Castres won and it makes sense given their performance."